Alice Springs School of the Air Visitor Centre is a school with a huge classroom that screens a film and narrates the history and innovations of the world since 1951. The classroom at the centre is referred to as the ‘world’s largest classroom’ that is visited by plenty of tourists every year. The center is a good way to learn and experience schooling methods in early times. The last entry to the museum is taken at 4 pm. 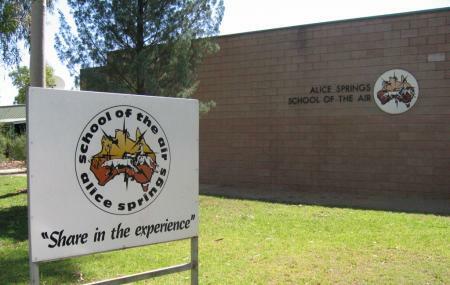 How popular is Alice Springs School Of The Air Visitor Centre? People normally club together The Royal Flying Doctor Service and Anzac Hill while planning their visit to Alice Springs School Of The Air Visitor Centre. Wasn't aware to the scale of how far this service extends.very impressed that everyone receives a chance of a good education. Well done,and keep up the good work. Great place to visit.Had the kids in at the time which they only do a couple of times a year. Its definitely a must see . Great insight into how important education is to the remote areas.